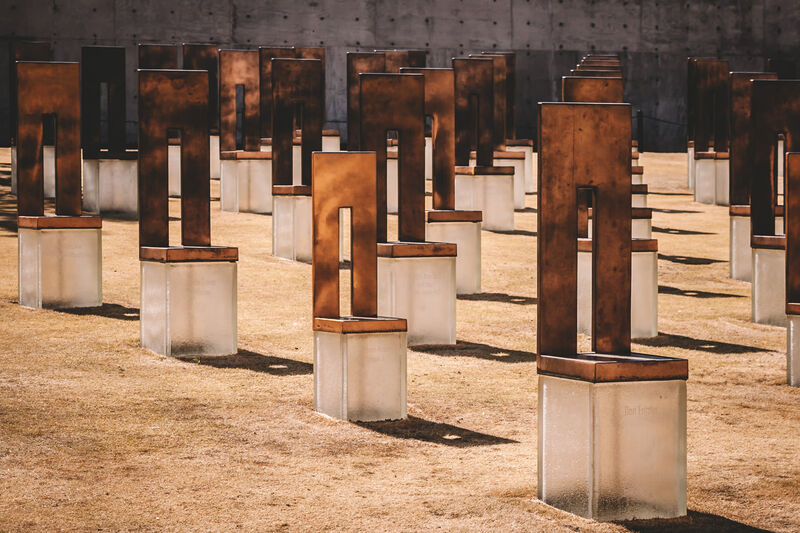 A few of the 168 empty chairs at the Oklahoma City National Memorial that represent those who lost their lives in the Oklahoma City bombing on April 19, 1995. 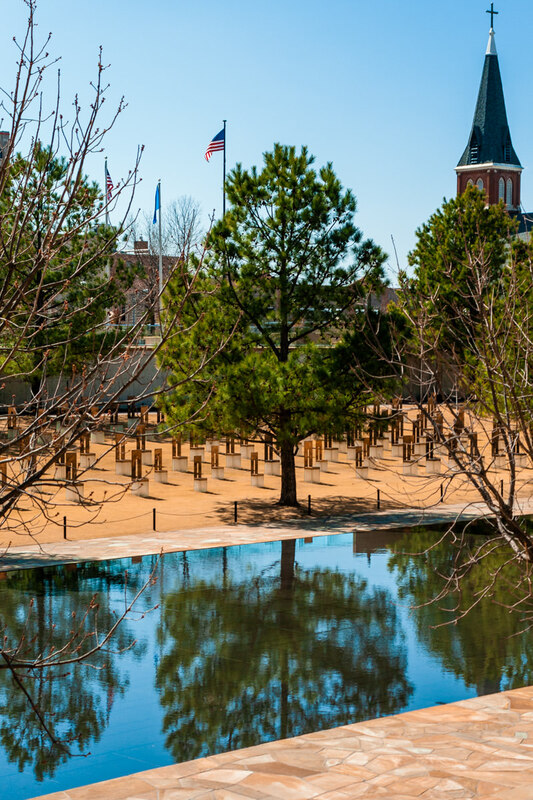 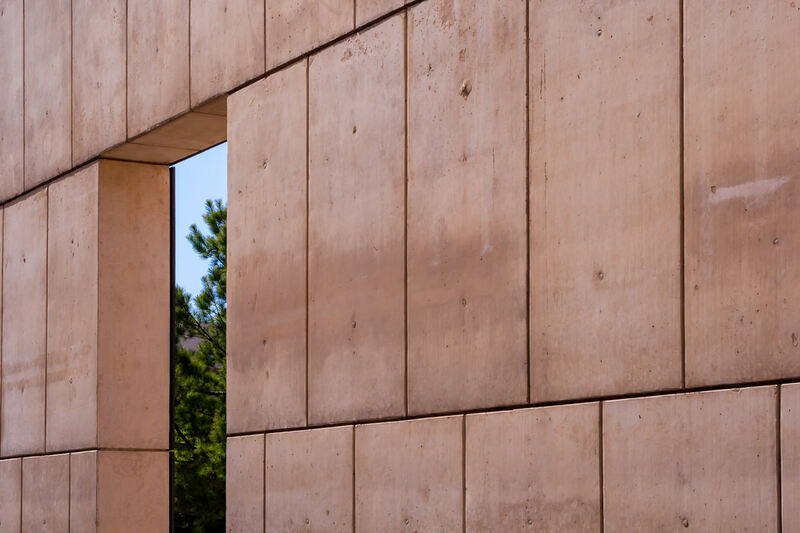 The Oklahoma City National Memorial. 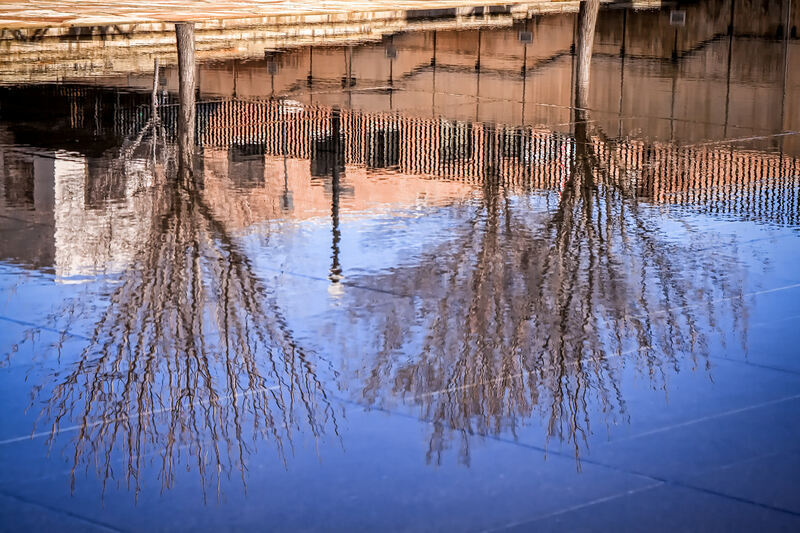 Trees reflected in the reflecting pool at the Oklahoma City National Memorial.